I received compensation in the form of a Babies R' Us gift card from P&G in exchange for this post. All my opinions are my own. The day I found out my husband and I were expecting our first child, I was both thrilled and scared to death. I had always wanted to have a baby and be a mom, but so many scenarios started racing through my head. That day was one of the happiest and scariest days of my life. 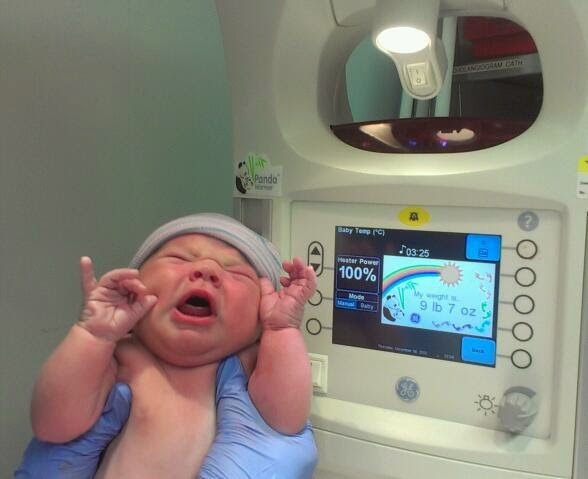 Newborns don't come with an instruction manual, or book of tips that work and don't work. Would I be able to handle all of the situations that would arise? I quickly learned that a method that worked one day might not work the next, and that motherhood was all about learning. Motherhood also comes with a lifetime of #MilestoneMoments! From baby's first smile, their first time sleeping through the night, rolling over, crawling, their first word, walking, their first birthday, their first day of school, their first loose tooth, and the list goes on. Every mom quickly realizes the importance of a reliable diaper. There's nothing more frustrating that having a "blow out" in the car seat, shopping cart, crib, or even at the park. it's a messy job, but it doesn't have to be. I can't even begin to imagine how many smells and scents we encounter on a daily basis. As I sit here, I wonder what my guests smell when they walk through the door. After all, I'm used to the smells in our home - I'm #Noseblind! Did you know that noseblindness is a nasal condition where you become accustomed to the odors around you over time? Perfect (but gross) example: a couple of weeks ago there was a skunk in our neighborhood, and the odor was very strong. About 3o minutes later, we no could no longer smell the skunk. We ran into town to run errands and when we opened the door upon returning, it smelled like the skunk was still in our house! Yuck! We live on a dirt road, have two big dogs (mastiffs), a son that wrestles, we bbq on the front deck, and we love to have bonfires in our back yard. Does our house really smell as good as I think it does? I have always been a fan of Febreze products. Not only do they leave every room in my house smelling fresh and clean - these products truly eliminate the odors! Febreze isn't only for the house - I use them in our camper and all of our vehicles too! The last thing I want to do is "mask" or cover up odors in our home. I want to be confident that when others walk through our front door, that they won't be hit in the face with unpleasant odors. I want my home to feel fresh, clean and inviting - not only for my own family, but for anyone who visits. To test our theory, I took the Febreze Noseblind Test and invited a couple friends over for a fun, family movie night. Of course, you can't watch a movie without fresh popcorn! We began our evening by taking individual #noseblind surveys, keeping all of our answers secret. The summer months are upon us, and the heat can be intense. Why sweat it out in discomfort? Shed your winter layers and feel good in your skin. Here are some ways to look fabulous and feel comfortable this summer. Be kind to your feet. You may not always think about your feet until you stub a toe, but your posture depends on healthy feet being planted on the ground. In summer the temptation to beat the heat and go barefoot can actually lead to injury; not just from stepping on something dangerous (make sure your tetanus booster is current), but from lack of supportive footwear causing aches and pains. Alternatively, consider sandals that incorporate arch support that will allow your feet to coolly breathe while providing orthotic properties. What better time of year than summer to go out on the town with your ladies or man? Instead of wearing those heels that hurt your feet for the next two days, try a pair of stylish flats. DSW has a huge selection for you to choose from with a myriad of patterns and designs. For even more comfort, slide a pair of cushioned insoles into the bottom and enjoy the feeling of walking on clouds. You’ll look great and your feet will have never felt better after a fun night out. I know it's still July, but I'm already preparing a list of what items my children are going to need for school. They are going to be headed back to school before I know it, and I want to be able to save on their supplies and clothing! Whether I'm buying new clothes, backpacks, or basic school supplies, I'm always looking for ways to save. Valpak.com is a great place to find back to school savings as you prepare for the school year ahead. My best back to school savings tip is to combine coupons and sales or clearance whenever possible! It is the perfect way to see those savings add up. 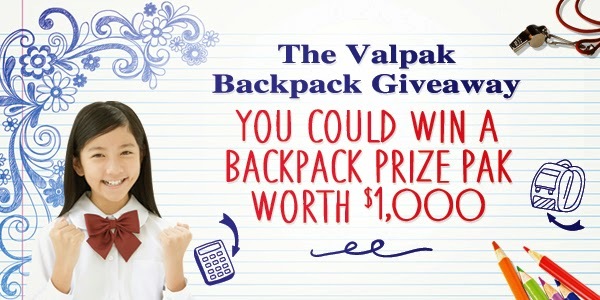 Our friends at Valpak and Valpak.com have your savings for back to school all in one place; from clothes, shoes, backpacks, lunch boxes, haircuts, and physicals, and a chance to win great prizes! Plus, top tips for packing lunches and homework help to make a smooth transition back-to-school. 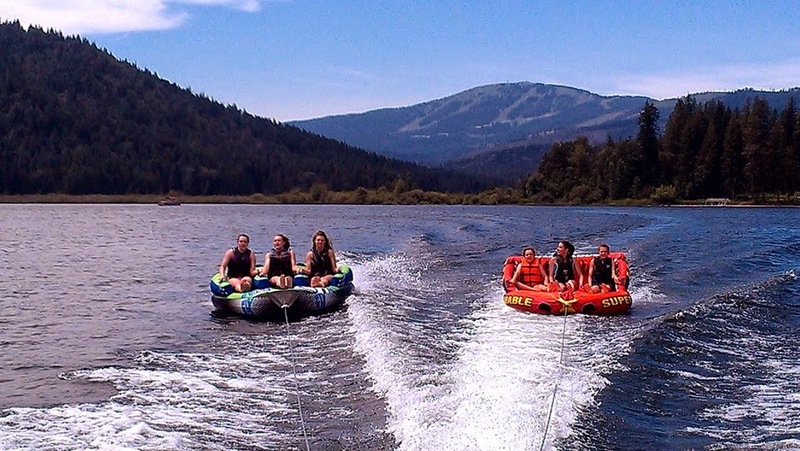 Boating Safety with Sea Tow - Get Your Kids Involved! Growing up, I lived on the river and went floating with family and friends every summer. I've always loved the water, as fun as it is, it can also be very dangerous. Two summers ago, my husband and I decided to purchase a boat. We live in an area where we are surrounded by beautiful lakes, and several friends own boats as well. As excited as we were to get a boat for our family, I'll admit that I was just as scared. I've heard sad stories of boating accidents, and knew that we had to take the proper steps to keep our family as safe as possible, especially our children. On a recent trip to the lake this summer to enjoy an afternoon of boating, my husband and I noticed something very cool! There was a life jacket loaner stand near the restrooms and boat prep lanes. We were both very impressed and know how helpful it can be. You never know when you might accidentally leave one behind or lose it along the way. 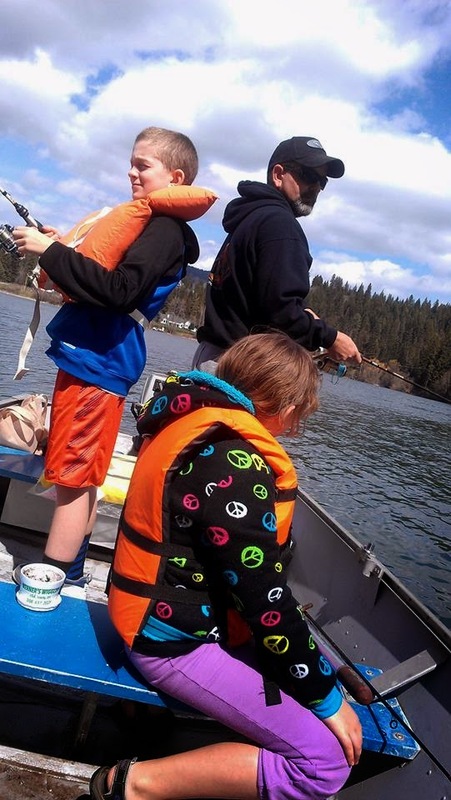 "Thanks to grant funding from the Sport Fish Restoration and Boating Trust Fund, administered by the U.S. Coast Guard, the Sea Tow Foundation has distributed close to 15,000 life jackets nationwide to help make recreational boaters safer on the water." Do you love ice cold Slurpees? Today only 7/11, you can get an ice cold FREE slurpee at 7 Eleven! My kids LOVE slurpees, so I will be taking them to our local 7 Eleven this afternoon for a cool summer treat! You’re invited to celebrate the most anticipated day of the year – 7-Eleven Day! It’s a wonder that it’s not a national holiday…yet! 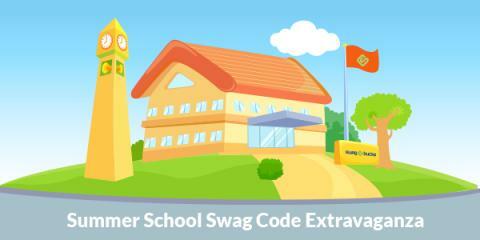 Stop in on Friday, 7/11/14, from 11am – 7pm and get a FREE small Slurpee drink. That’s right, a FREE small Slurpee and a true reason to say T.G.I.F. But wait, there’s more… say whaaaaaaat? Every little girl loves getting her fingernails painted. I also know that many young girls like to peel off their pretty nail polish after a couple of days. Heck, I've been guilty of that as an adult... it's fun! It reminds me of putting a thin layer of school glue on my hands, letting it dry, and then peeling it off. You're done it too! Am I right? Now girls can get the best of both worlds - a nail polish that brushes on and easily peels off! Bo-Po nail polish comes in 10 bright, funky colors and smells like vanilla. How cool is that? It is also non-toxic and doesn't have that harsh chemical smell. It's a win-win for parents and little girls! 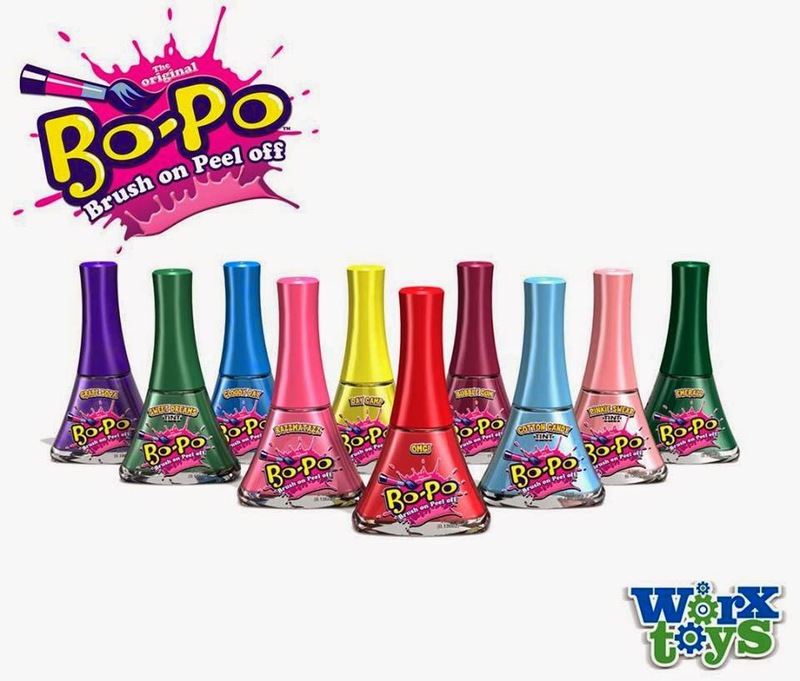 "Bo-Po Nail Polish Is Back With 10 Totally Tubular Colors, Scents and Peel-Off Fun. Worx Toys is re-launching the original Brush It On and Peel It Off nail polish with improved formula & vibrant colors. You might be a whiz when it comes to managing the financial side of your business, but there are always more ways to improve sales and keep your business developing. Using cutting-edge tools and apps to take your business beyond your basic site, for example, might be something you’ve never considered before. You’ll be surprised how much more efficiently your business can run, however, once you start dabbling in some of the newest tools and hardware geared toward streamlining online businesses. This includes ensuring your business is synchronized both on- and offline, as well as managing your virtual content, which is a commodity unto itself. Here are four tips for keeping up with the ever-changing world of eCommerce. One of the first things you should do when you’re evaluating your online reputation is to sit down and Google both your own name and the name of your business to get a sense of how you exist on the Internet, according to Time. This is true for business owners who work in both the physical world and the eCommerce world, because it will give you an accurate snapshot of what you’re dealing with before you even start. After you get a sense of how your reputation sits on the web, it’s time to streamline and organize the different aspects of what builds an online reputation. Get active on social media networks like Twitter and Facebook, and then choose an app from an online business platform such as Shopify to keep track of it all. There are lots of different ways to streamline your social media presence without reviewing each individual network, which is time consuming and complicated. Allowing your customers to share your content on their social networking sites will also boost your online presence and increase your visibility, resulting in more sales for less work on your end. Healthy Essentials Savings and Deals for Summertime! Vacation plans are set, but are you really ready for summer? As the weather changes, so do the needs of our families. Summertime means sunscreen, band-aids, bug spray, and first aid kits. Make sure you're prepared with all the essentials you'll need, so you and your family can enjoy the great outdoors and a great vacation. Be proactive about protecting your skin! HEALTHY ESSENTIALS® Products are essential for summertime – and can help keep your family healthy and happy while you enjoy the season! The HEALTHY ESSENTIALS® program is offering amazing printable coupons, tips & tools and so much more for all the products you and your family love. You can save more than $45 by visiting the Healthy Essentials website during the month of July and signing up for the HEALTHY ESSENTIALS® program money-saving coupons and special offers.